Have your kid wear their heart on their sleeve with this custom shirt for Valentine's Day. 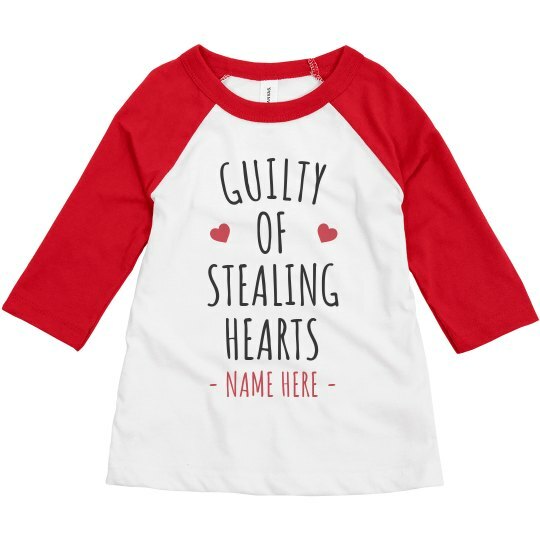 Guilty of stealing hearts? Yup that is definitely them and it's the season to steal even some more.